Over 50 glam and playful pieces to match your every fashion mood. 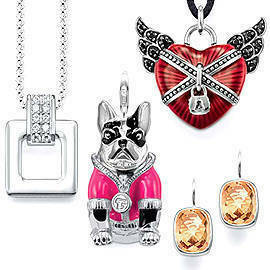 Classic and rebel charms and accessories from Thomas Sabo. Click for more. Expect to see a colorful coterie of quirky charms at Thomas Sabo’s newly-opened store at the Power Plant Mall in Rockwell, Makati. The store, which started out in Bavaria and has outlets throughout Europe, America and Asia, opened its first Manila store with the Charm Club Spring/Summer 2011 collection. Celebrating its fifth anniversary of their Charm Club, this year’s collection is comprised of colorful charms that are heavily inspired by pop allure. 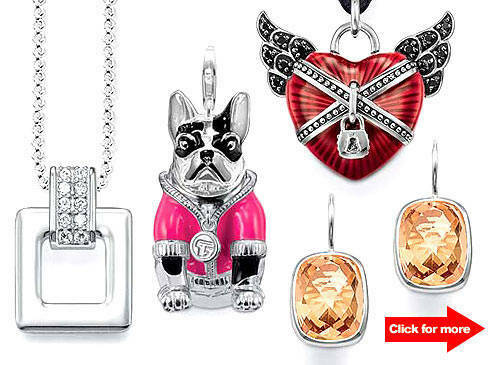 Pop sensation Katy Perry is Thomas Sabo's newest ambassador and the charms reflect her retro glamour with diamond-studded charms and animal trinkets. Each of the three collections-classic, seasonal and rebel-has more than 30 versatile pieces to choose from. The Thomas Sabo Shop in Manila is located in 2/F Power Plant Mall, Rockwell Center, Makati City.